Do you have a marine background, and would you like to join one of the world’s leading classification societies? This is your chance to build your knowledge along with a team of experts that provide the major shipping companies with help on technical matters related to all aspects of their operations. You mainly advise our customers, review of drawings of marine constructions and equipment according to the applicable Class Rules and Statutory Regulations. Quickly, you become an expert on these, and as new rules and regulations are developed, you familiarize yourself with them and continuously develop. You want to develop, becoming our expert on the matter. It could also be that you develop an interest in a new field. We are a major, global organization, so if you reach out, we have several career paths to seek out. To succeed in this position, you thrive in a setting where the customers set the agenda. This means that your focus may shift quickly. You have experience working with statutory matters, ship stability, Fire & Safety related issues. Experience with passenger ships is a bonus. 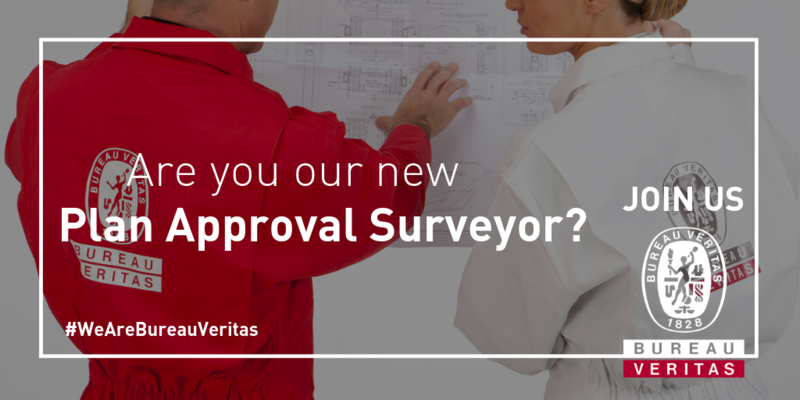 With a history that dates back to 1828, Bureau Veritas is one of the world’s leading companies within marine classification and certification services. Worldwide, Bureau Veritas employs more than 75,000 people located in more than140 countries. 11,000+ ships of total 120 million GT are classed by Bureau Veritas Marine & Offshore. Bureau Veritas employees 200 people in Denmark at its offices in Copenhagen, Fredericia and Esbjerg. Please press apply to upload your CV and application in English no later than 30 April 2019. If you have any questions regarding this position, please contact Plan Approval Manager for Denmark, Iceland & Sweden, Marine & Offshore Razvan Ionas on +45 24432138. Har du erfaring med bådmotorer og leder efter et fast deltidsjob med stor fleksibilitet?